Christmas is almost here and that means LOTS of decorating! While WE don't have a mantel to decorate (boohoo), I know that a LOT of you do, and since fireplaces are usually the major focal point in a room I thought we'd share a few really great ideas on how you can freshen yours up this holiday season so that your decor really stands out! Don't have a fireplace or mantel? Keep reading... we cover that too. Although brick is beautiful and classic in lots of homes, sometimes it doesn't exactly fit your style. A great way to get a completely different look, without having to spend a lot of time on demolition and materials cost, is to simply paint your brick. White seems to be the trend lately, but any shade of medium or light gray would also look beautiful. If you're still not satisfied with a mostly brick fireplace, you can opt to build out around it. 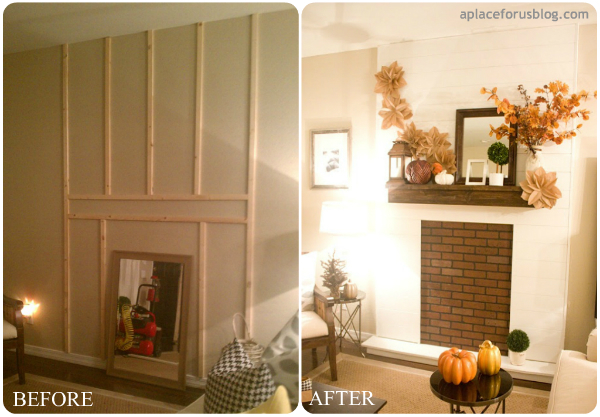 Using inexpensive MDF material you can design a high-end looking fireplace on a small budget. This technique also helps to give your mantel more bulk and space for those fun decor items. 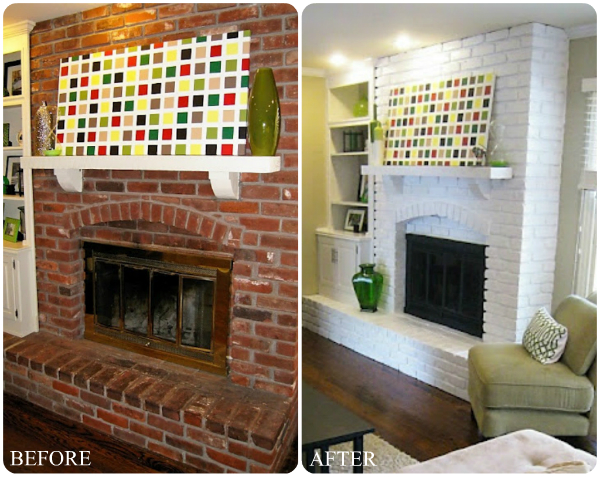 Updating the tile design or color around your fireplace can also be a great way to add personality to your mantel. Because you only need a very small amount, you can search for discounted tile online or even pick up remnant pieces at your local Habitat or thrift store. 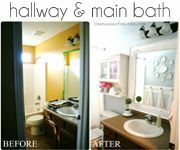 If you like the idea of tile but think it's a bit out of your budget or skill-set, then try painting over your existing tile instead. It may sound a little crazy, but the results are stunning! Using a Faux tile painting technique or small repeating stencil pattern you can create lots of different looks around your fireplace for a fraction of the price. Now what about those of us who aren't lucky enough to actually have a fireplace or mantel to decorate in our home? Don't worry, I've got you covered too. 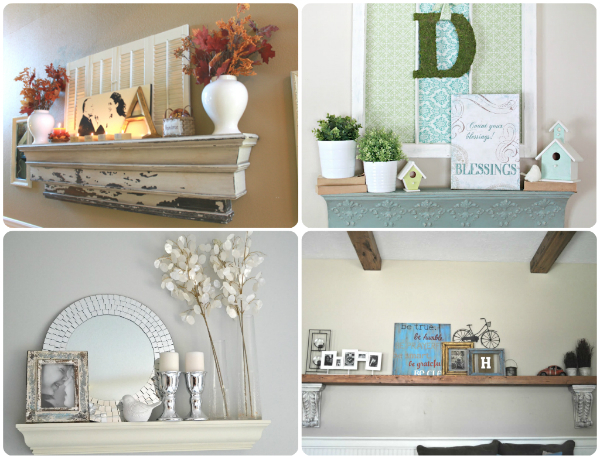 Try a Faux fireplace or display shelves instead. 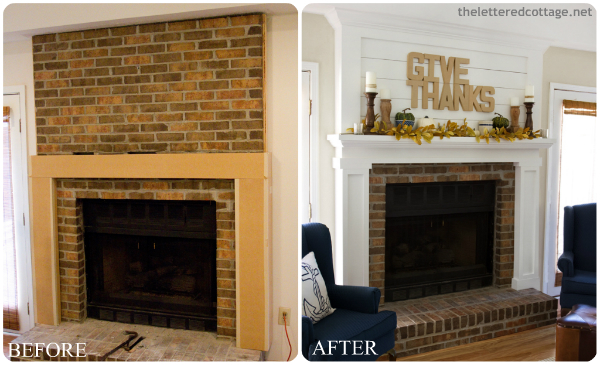 If you've got a large bare wall in your space that you wish had a fireplace on it, then try this fun idea of building a fake one. This method gives you complete freedom to choose exactly what you want your fireplace and mantel to look like, and since you don't actually have to worry about the surrounding materials getting too hot or being compatible with fire codes, you can pretty much use whatever you want. As you know, for us, there isn't a ton of extra room to add much of anything in the way of a full blown OR Faux fireplace, but we really wanted a spot in our home that we could use to change out decor from time to time. After a little brainstorming, we decided to incorporate some free standing decorative shelves into our kitchen nook. You can scatter them in a few different sizes on a wall like we did, or simply find a chunky store-bought one and dress it up for all the different seasons and holidays. So... which category do YOU fall into? Have you got a beautiful fireplace mantel to decorate, or do you have a set of shelves, like us, that act as your decorating spot? Thanks for all the inspiration! My husband built us shelves inspired by your free standing shelves. They are the main thing that gets decorated for holidays in our home! 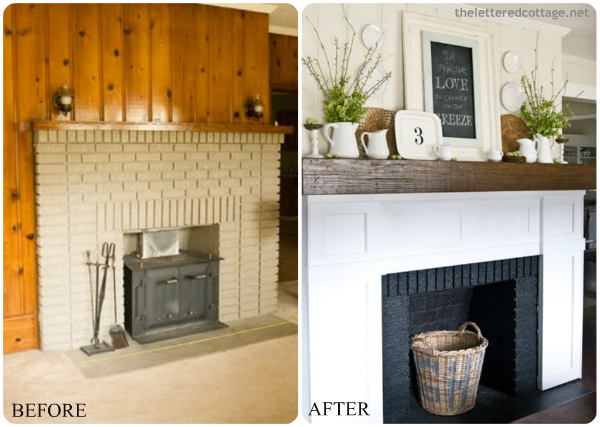 There are SO many ways to do a fireplace makeover! I just had a very "interesting" experience making over my fire place. I spray painted the inside, and it resembled what I guess a "Peyote tent" would look like. lol. Since we don't use our fire place for fires, liquid nailed some beadboard over the hideous tile surround. Thanks so much for sharing Jess' fireplace today! I just called her to let her know and she was screaming in Target bc she was thrilled! Thanks Shelley!! I have a shelf that acts like a mantel. It is a door we converted into a shelf. Love these ideas! We would be shelf people (Arizona... fireplaces are a tad unnecessary), but we don't have a wall for it just yet. I opted to put family photos up on our wall instead, and I think that this time, it worth it! Gosh, I really want to paint my fireplace now. We use a set of bookshelves as our 'mantle' as well.. no need for a fireplace here in Florida but I love changing out the decor! While we long to have a real wood burning fireplace. My plan is to take matters into my own hands & faux one out. I have the perfect place picked out in our dining room between 2 higher windows. The space literally begs for one flanked by built-ins, they'd be lovely and double as buffet space for gatherings. But we'll see what all I can convince the hubs of, one step at a time rt?! It may eventually contain an electric fireplace heater as a stand in for the real McCoy too. Thanks for bringing together so many wonderful inspirations! I'm pinning away. I have a space picked out in our dining room that literally begs for a fireplace/mantel surrounded with built-ins. It's a narrow wall flanked with a high window on either side. Thanks for gathering so much inspiration in one place! I'm pinning away. We'll probably wind up DIY'ing a faux version that may very well later contain an electric fireplace/stove/heater. I'd love those built-ins that could double as buffets for holidays/parties. But I'll work on the hubs one thing at a time. We both love the feel of a fire. I love the additional display interest a mantel provides. Not to mention we would finally have a place to put our 6 stockings at Christmas time. i love a clean white fireplace. 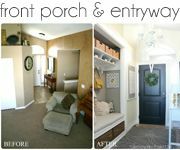 Not gonna lie, I got excited that I would see my fireplace remodel on this post. But now I have some clever ideas on decorating that area. Thanks for posting! 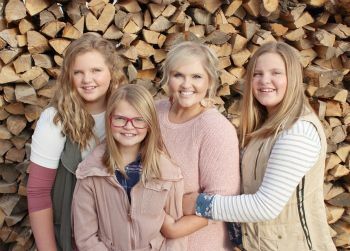 I love them all...I'm looking for a way to make a nice wood surround and mantel for our fireplace, the just put the tile in and framed so it's blah and flat to the wall...Oh, and my mome is looking for ideas for decorating and accenting a corner fireplace. You have an ideas? We have a 2 story back hall that leads to our upstairs. We completely gutted the upstairs and when we did, it left this ledge thing of drywall in the backhall half way up the wall. My husband wired it to put an outlet up there and we put a HUGE barn beam up there to cover up the ledge. I call it my mantel :) Unfortunately it's rather high up and hard to decorate that way plus it has about 10 feet of wall above it, so I can't put little stuff up there or it looks dinky. But, I still like to have SOME place to put stuff!! :) Loved this post! We have a brick fireplace that I painted white. It made such a difference in brightening our room. Unfortunately the flat screen TV is above it so there isn't a lot of room for displays without it looking cluttered. I really like your shelf idea since it's only function is to display pretty objects and it can be changed as often as you like. I have a fireplace that is literally a flat box in the wall. It is so totally ugly, and really depressing that there is no mantel right now because it is Christmas time! WE have practically no budget right now, and I have been searching for a good idea for something I can do to create a mantel where there is none. I still haven't found anything to my liking, but do like the painting technique you mentioned ehr to mimic the tile. I am actually planning to do that on my kitchen backsplash very soon. But I still need some kind of mantel to put over the ugly box in the wall. We are actually in the process of a fireplace makeover. We have a used brick fireplace. I decided on 1 inch glass tiles along with a wood surround. 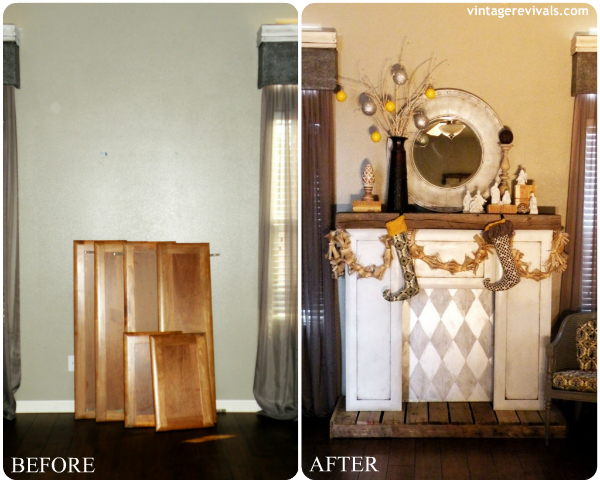 This has been the worst DIY project of our lives (and we DIY a lot!) The brick is very uneven and using thinset to fix that is impossible. We ended up covering with wonderboard to create that smooth surface. We have not put the tile up yet. Still trying to figure out how to create a level board that attatches to the fireplace. We were hoping to hang stockings on Christmas but its looking that they will be hanging on the wall. Lol! I kind of have shelves. I have the top of my closet in the entry normally. But my daughter's cats have taken up residency here. I can't have anything up there right now. They knock it all down. But I do have my entertainment center. http://momma-paparazzi.blogspot.com/2012/10/it-was-finished.html Why is it so hard also to find new artwork to add to bare walls? LOL Recently, my living room got new paint, carpet and a whole new window. Thank you for this post! We just moved into an apartment and sadly are without a mantel. But! 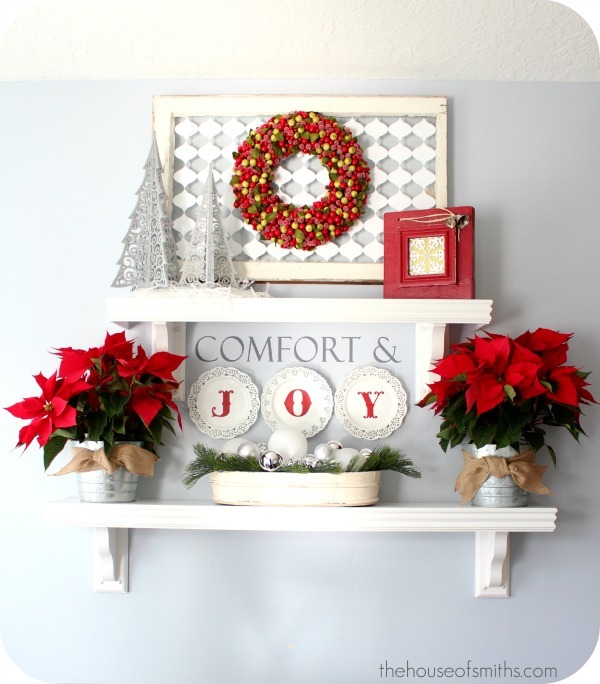 Thanks to some of these great ideas, I hope we can at least get a shelf that serves as a mantel (makes hanging stockings less of an issue). I'm so glad you posted about fireplaces. I just painted mine a couple months ago, and made a video of it! Our house is an older 1973 house and the fireplace was just dated and ugly! Bleh. It looks soooo much nicer now! 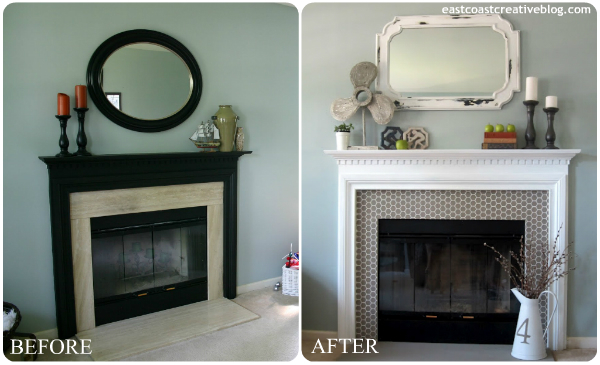 Here's the YouTube link to my painted fireplace makeover! Hope it helps someone! I just posted about decorating my etertainment center rather than my mantle because the mantle falls in the dreaded mancave. I'd love to eventually add wood shelves and lighted up the bricks on our fireplace, but that's a long way coming down the road. I agree with Mimaw. I think they looked much better before. When I'm looking at houses that are for sale (which I do frequently), I will not give a second look to a house that has had it's original brick work painted. In addition, it is always a selling point in lofts and urban spaces when there is exposed brick. So yummy! Sorry to be a spoil sport....to each his own, I guess. These are fabulous! I love both looks, but I personally prefer the classic red brick, because of it's coziness. I love when a mantle is beautifully decorated, it makes it even cozier! This post is refreshing! There is so much negativity these days. It seems no matter where I go, or what I do there are Grinches everywhere this year! They remind me of the Gremlins, they've multiplied and continue to multiply everyday... they're like the plague! These people are really taking the fun out of Christmas! So posts like this are a breath of fresh air. I'm sorry to babble. This is my second visit, and I've really enjoyed reading both times. You have a great blog! Anyway, sorry for being a chatterbox. My name is Sarah, you are welcome to stop by my blog anytime. If you ever want to guest blog let me know, and I'd love to put you in the spotlight sometime! 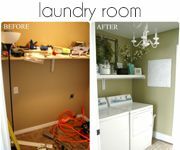 such great before and after pictures! 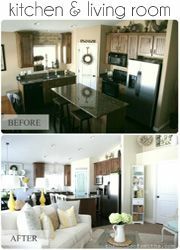 Very inspiring, I love the works from "better after", "thrifty decor chick" and "east coast creative", very cool stuff. These are all great ideas. My friend has a fireplace and recently painted it to look like marble. It really appears to be a marble fireplace and it perked up the room a lot. He also took up an old rug, polished the hardwood floors and added a plush throw rug in front of the fireplace. Your blog is amazing!!! I have a strange question for you though ... what type of camera do you use? The picture quality is great and I've been looking for a good camera (assuming DSLR??). Thanks so much! Keep up the great blogging!